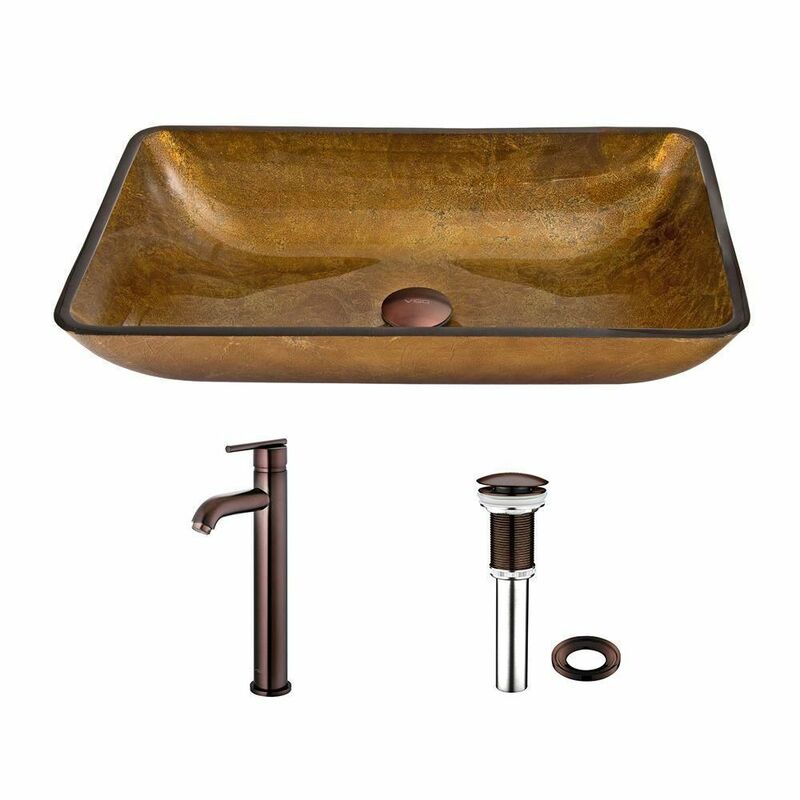 Glass Vessel Sink in Rectangular Copper with Seville Faucet in Oil-Rubbed Bronze is rated 5.0 out of 5 by 3. Rated 5 out of 5 by circle from Looks wonderful! Quick Install, amazing results! Love the imperfections in foil wrap on the glass. Looks personal and warming to the bathroom! Rated 5 out of 5 by MP2015 from Nice looking sinks We ordered two sets for the master bath sinks. they look great!